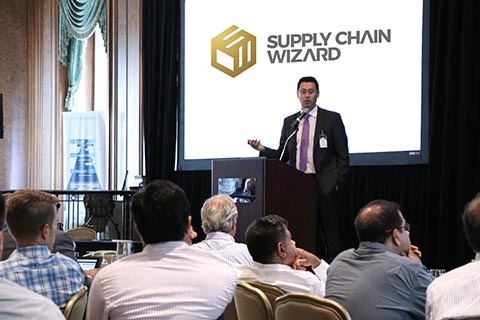 Princeton, N.J. – Supply Chain Wizard – a leading full-service global consulting firm specializing in serialization and traceability, as well as supply chain strategy and operational transformation programs – is hosting a Digital Age Pharma CMO Summit on October 25, 2018 at the Princeton Marriott at Forrestal in Princeton, NJ. The event will bring together manufacturers and brand owners, CMOs, CPOs, 3PLs, wholesalers and solution providers to participate in educational and interactive activities centered on finalizing plans for serialization compliance and, from there, achieving significant value beyond compliance. With just a few months left to meet the Drug Supply Chain Security Act (DSCSA) November 2018 serialization deadline, the event will focus largely on beyond-compliance strategies utilizing the troves of data and industry-wide data networks built by serialization solutions to realize business, manufacturing and supply chain improvements. Attendees will be encouraged to explore benefits afforded by digitalization, and gain exposure to the solutions and techniques involved in transforming traditional production plants into digital factories. For example, Supply Chain Wizard will demonstrate the improvements to overall equipment effectiveness possible through systems like its OEE Tracker. The tremendous potential of other emerging technologies will be examined as well, including the Internet of Things (IoT), artificial intelligence (AI), machine learning (ML) and blockchain. The value of networking at all levels is emphasized and encouraged. The Digital Age Pharma CMO Summit is supported by pharma manufacturers Fresenius Kabi, Medis, Mylan, Nordic and Teva – who are inviting their CMOs to the event – and sponsored by leading solution providers such as Adents, Systech and Wipotec-OCS. Additional sponsorship opportunities are available. The October event is the second one taking place in Princeton, and the 10th in the series of CMO-focused events Supply Chain Wizard has organized worldwide. The next Digital Age Pharma CMO Summit will be organized in Europe on December 11, 2018 in Berlin, Germany as the second event in the series of “Digital Age” themed Pharma CMO Summits. Pharmaceutical industry professionals can register for the conference by visiting www.pharmacmosummit.com/princetondigitalage/.